I have to admit I was a bit skeptical to buy this application. After purchasing it and installing it I can tell you tha it is hands down top quality. 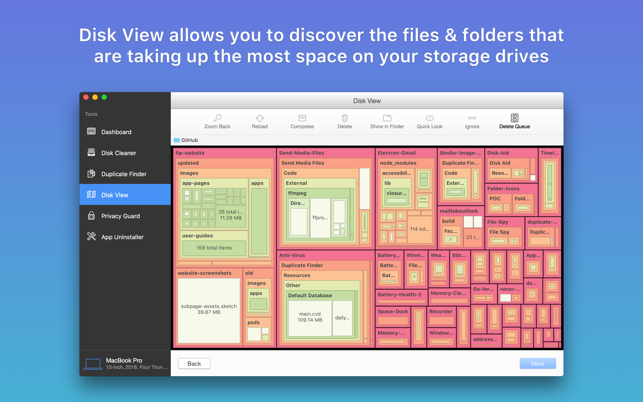 It is both easy-to-use and gives you an in-depth understanding of where your files are and more importantly how space is being used on your hard drive. I have a MacBook Pro that came with a solid-state 256 GB hard drive. Because using up space comes at a premium for me, I needed something to quickly find the files that we're hogging up valuable space on my system. This application does that quickly and very well. 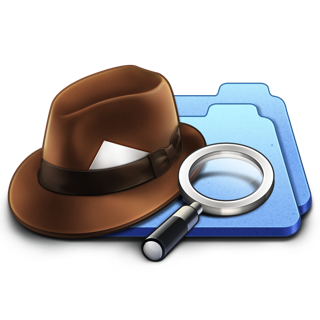 Although I haven't recovered all the space it's showing me due to my own time constraints, it is mind-boggling how many duplicate files, large video files, and other larger files that are stored on my system without me even knowing about it. Now I can easily and quickly archive to an external drive and or remove them and be on my way. 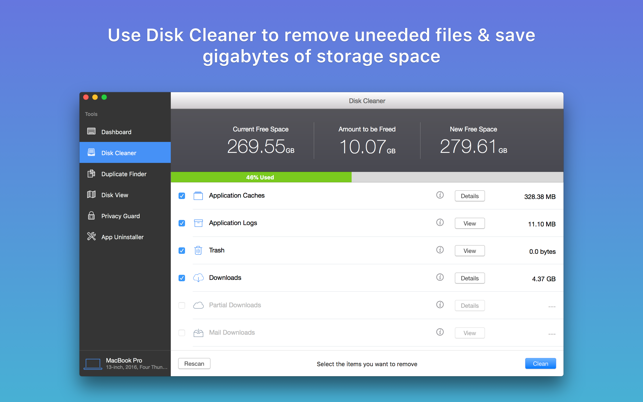 I would definitely recommend this app for anyone that needs to manage their hard drive and space. 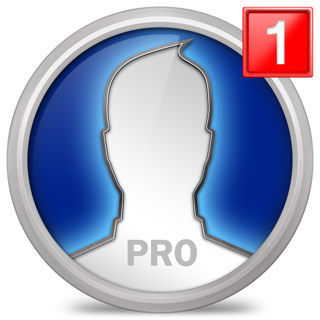 It also comes with an app UnInstaller, a privacy guard and many other features. They're all listed on the developers page. Great buy! Finally, an app that works!! Wow, I was about to lose my mind over the fact that my old G5 Mac was completely incompatible with the Macbook Pro when it came to merging Photo-libraries and I spent hours at the apple store with specialists who couldn’t figure out the problem. After multiple attempts to erase my duplicates I always ended up with either losing a portion of the originals as well (thank god for flash-card backups) or not getting the job done period! This app is phenomenal as far as I’m concerned. I just erased 5340 duplicates in my I-photo library giving me over 30GB or storage back!!! I carefully checked about a hundred photos prior to pushing that “enter” button and I am happy to report that it did not only erase double and tripple duplicates but it also managed to preserve originals and their modified versions!! 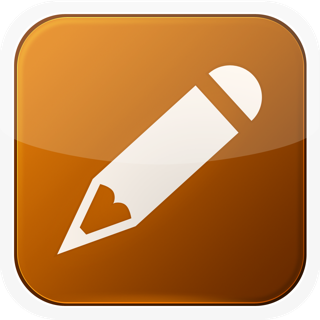 as i said….WOW and congrats to the developers of this app. I would easily pay 100 bucks for this one. I can’t tell you how relieved I am now that I can finally complete my edits on 15 years of history. Don’t get ditracted by negative reviews! This app is really fine. It will delete virtually all of the critical materials that you want to delete. The support is excellent. When you email the company it resonds quickly and helpfully. The complaint about the download problem is bogus. The download is controlled by the App Store not the developers! The remark about using CCleaner to solve problems is also a big problem. Anyone who goes online to check out this app will discover that it will share info about your drive and its contents (admitted by the developer of CCleaner to increase income) to merchants as does Google and others. It also has a major back door issue also demonstrated by several security companies. This is public knowledge and not my imagination. 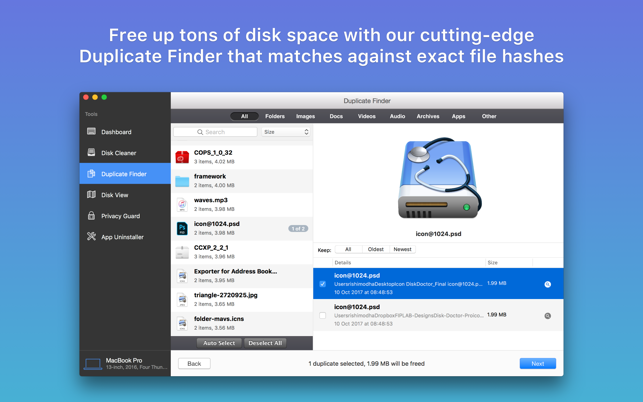 Disk Aid is totally compatible with High Sierra, is quick and efficient. If you do not have it buy it! 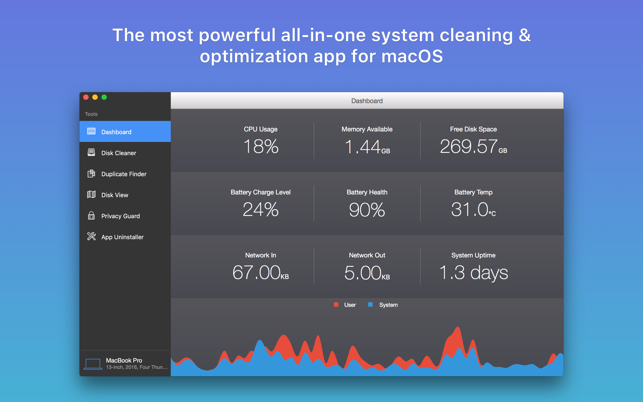 A wonderful utility for all Mac users.